Grayline 40259, 12 Can Beverage Dispenser, White, 16 by 5-5/8 by 4-7/8"
40259 Features: -Cans cascade to front. -Space saving design fits all popular refrigerators. -Holds 12 cans. 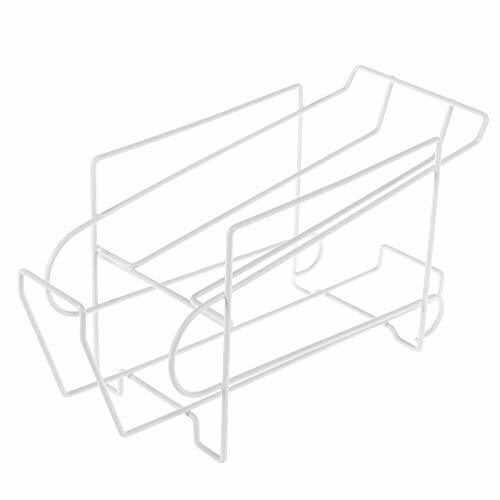 -Shape: Rectangle. Color: -White. Material: -Metal. Dimensions: Overall Height - Top to Bottom: -4. 9". Overall Width - Side to Side: -16". Offers deeper capacity than the original Canrack with a slim space saving design. Ideal for shorter shelves. 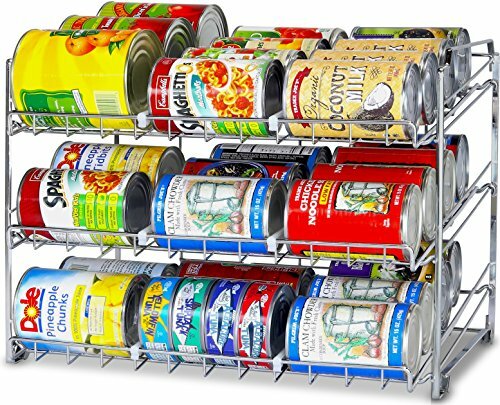 Features durable steel wire construction and angled shelves for convenient and easy can retrieval. Compact size fits most cabinets and pantry shelves. Easy clean finish and quick, no tool assembly. Large enough to hold your beer or other beverage cans in a horizontal position or you can stack them in a small pyramid. Holder plastic and glass water bottles securely. Perfect for soda and beer cans, Soup, tuna and food cans. Easy to clean, no deformation, can be used repeatedly. Suitable for household refrigerator cans shelf, very practical and saves space. Made of high quality food grade silicone materials, non-toxic and eco-Friendly. Dishwasher safe. 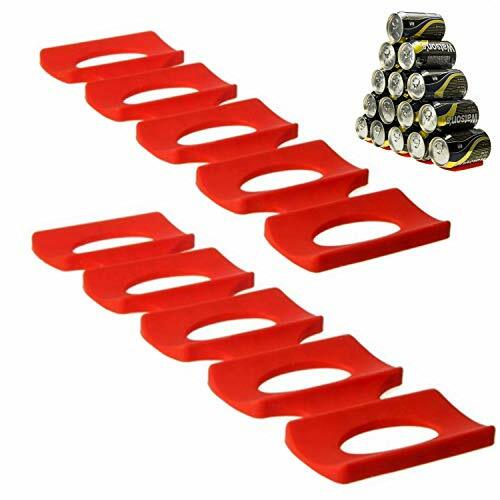 Anti-slip, this mat stopped cans and bottles from rolling on the glass shelves in the fridge. Space-saving, each mat stacks up to 15 cans. Easy to organize and retrieve. It's a flexible mat, you can folds away for easy storage when not in use. 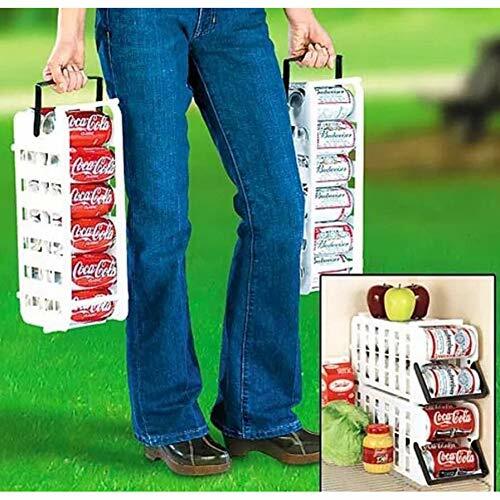 Store N' Tote Stackable Can Dispenser Can dispenser tote. Stores up to twelve 12 oz cans neatly inside your refrigerator. When one can is removed, another rolls into its place. Stack 2 or more together! Retractable carry handle lets you take the dispenser to the beach, patio, office, or anywhere you need cold beverages. Durable, wipes clean. 16 5/8 L x 6 7/8 H x 5 1/8 W.
When one can is removed another rolls into place! This is the perfect place to store and organise your small items in the home. It could be also used as a fruit or vegetable basket as its vintage style would work in any kitchen. Or place on open shelves and use to store food packets and spices. 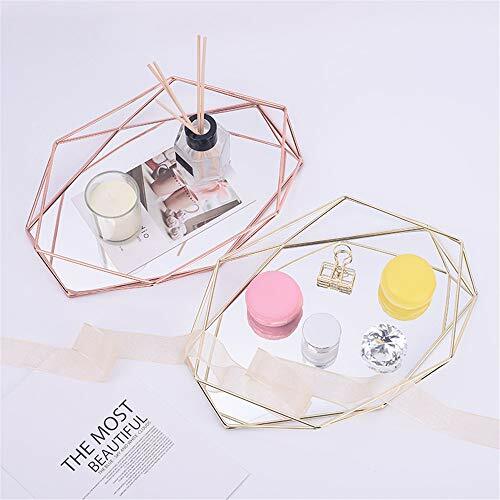 It could also be used in a home office on a desk to keep small items tidy and in one place. Our Business - Dirance is a comprehensive store mainly focus on Home&Garden.More information welcome to Click Dirance. Our Vision - What you need is What I have. Our Price - We can not make sure our price is the lowest, what is sure is that it is based on the item quality. Our Logistics - We provide free Shipping. In general, you can receive your lovely item during 7-14 days for product above 5 dollars and 15-28 days for the product under 5 dollars. Our Service - Just Buy it, Any quality problem we will resend u new one or give u a full refund soon after photo confirmation. -- Adopt thicken iron material, with high temperature baking paint design, long lasting. 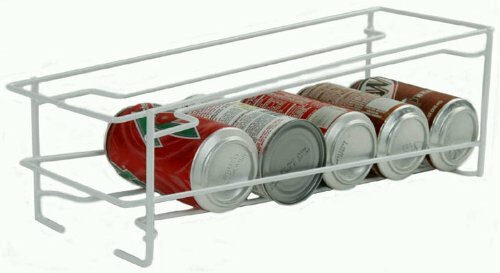 -- Double-layer cans beverage storage rack, will save more space room. -- Rolling design for easy to pick-up. -- It can store 10 cans of drinks at the same time. The FIFO first in first out Can Tracker system guarantees you'll never have to deal with can expiration dates again by rotating your food from oldest to newest. 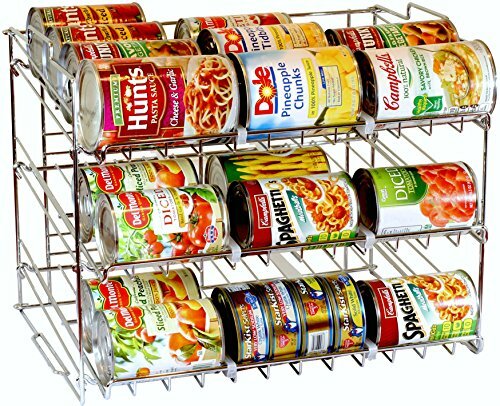 Its easy-fit-design also lets you store a variety of can sizes, from small tomato sauce cans to larger vegetable cans. 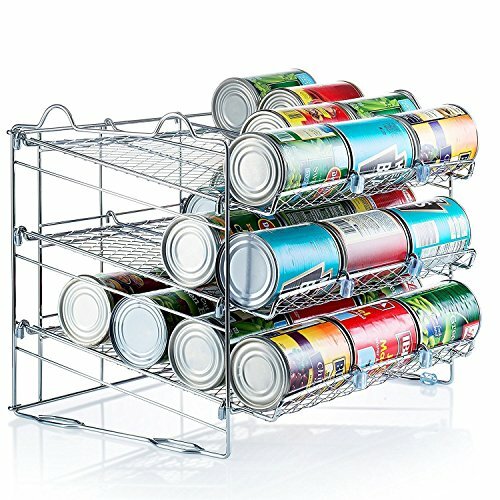 The Can Tracker can hold up to 54 soup-size cans or 45 regular-size cans. The Can Tracker has two can rotation levels. When the top row has finished rotating, the middle track will begin to rotate through. 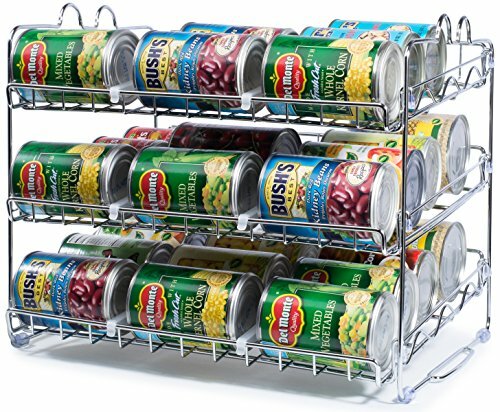 This is great if you are looking to add an organizer to your pantry or cabinet for organizing soup or vegetable cans. 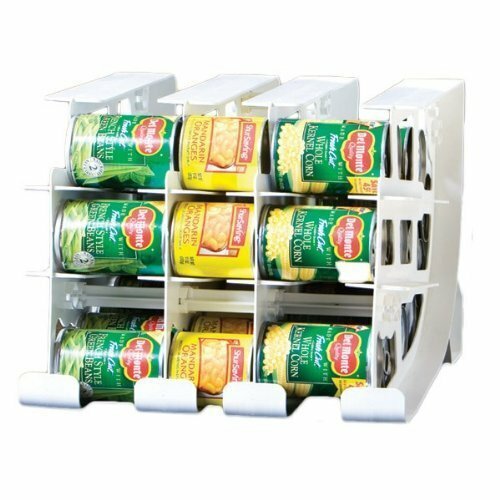 ORGANIZE YOUR FOOD PANTRY - Our patent designed FIFO Can Tracker keeps your kitchen organized by storing and rotating your canned goods on a First In First Out model saving you from expired food cost and waste! Designed to store cans from 4 to 15 ounces. Perfect for diced chili cans, soup cans or standard vegetable cans. Holds up to 54 cans. Perfect to organize your food storage. STURDY DESIGN - Made in the USA, this product is built to last and will be a permanent solution to your kitchen organization problem. Easily connect multiple units together to expand your storage. EASY INSTALLATION - Put together in just minutes following a simple 4 step process. 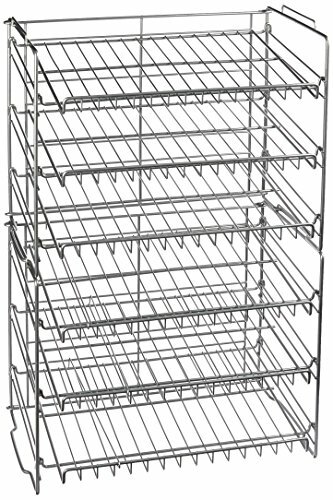 FITS ON EXISTING SHELVES - Product dimensions are 12 H x 16 W x 16 D allowing you to organize your pantry, cabinet and cupboard. 100% CUSTOMER SATISFACTION GUARANTEE - If you are not satisfied with your purchase and feel this product has not solved your pantry organization problem simply return for a full refund. Warranty: Limted 1 year warranty.